I love it! I often look at my ships in space and try to imagine what is inside, where the capsule is, where the crew works. I would love to see this on bigger ships, that might be a few pages in a book. Its almost as if CCP has ADHD or something. Oooh look at this project. Wow that project! Ooh over here, check this out!! I was just asking myself what ship to solo into lowsec next and all of a sudden I have a feeling of flying a Comet. Can't explain the sudden urge.. This is the law of ship progression! Personally if you want to give us graphical content like this, why don't incorporate it into the flying window that by "zumming" into a ship on grid we can have a pop up screan that can advise what mod's or mechanical adaptations have been applied to the ship. Imagine that i have just scanned the ship to get ship intel. Since ccp is all about making it easier for the newbs why not provide th em the option and they can see the gunnery type fitted to the ship? Now thats content in the ui. Since they have 3d models, 3d wireframe plus highlighting of additional areas and displaying list would do that thing ok. Problem is with implementation of such feature. Scanner would need visual overhaul to make it 3d window, additional areas would need to be highlighted, and also list would need to be displayed. So from that standpoint it is all a very visual update with zero additional functionality. LOVE THIS KIND OF STUFF!!!! Looking forward to the final project! Pretty. It would be really interesting to see the larger, especially capital, ships. How about putting the images in game into the Ship Tree? (Previously ISIS) instead of the plain outline and 3d model (which are nice btw)...... but cross sections of the ship and although i don't expect them to be super clear and hyper detailed (to stop/protect Copywrite) they would possibly show a more in-depth look into the world of EVE....... a bit like a final polish if you like. Law Number III: There are no lazy veteran lion hunters. Law Number VI: A hungry dog hunts best. A hungrier dog hunts even better. Law Number XXXVIII: The early bird gets the worm. The early worm....gets eaten. If in doubt , SHOOT ! Shut up and take my money! Wait...is there even an EVE store anymore? So this is one of a couple of images we've been working on with the awesome artist Will Burns, who's worked with us previously on many projects. We're currently exploring different ideas to show off EVE's ships and give more intricate detail about them, such as putting together books based on images like this. Do you guys like it, and would you like to see more? Damnit CCP, just shutup and take my money. My Cheetah looks like Serenity Firefly inside and you cant take that dream away! Isn't a firetail just an extra sticky ducktape strip that you then use to attach your modules to your pod? 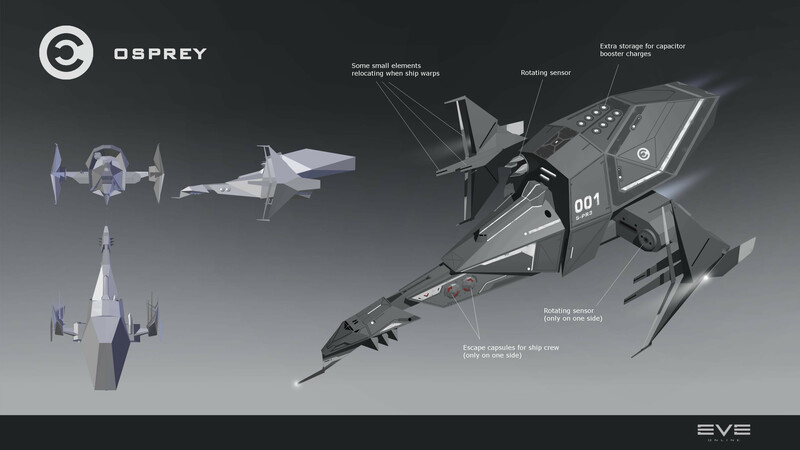 Lol, I would have thought the Moa/ Gila is a closer representation to the firefly, although that's based purely on the outsides of the ships and their approximate dimensions. (Edit) Although in hindsight when Kaylee Frye (Jewel Strait) starts hitting the engine with a spanner and hammer.........well that just screams Minmatar to me especially since the whole ship is held together with ducktape and paint.
" Those mini ships look all alike to me "
Did we do the shut up and take my money bit yet? YES. Love it. Do more, would love another book about Eve, especially one detailing the "technical" details of the ships. Should start making technical details of stations, citadels, POS's, etc too.